Posted February 20, 2019 by Aidan Clarke & filed under Front page. 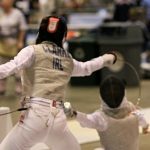 The sport of fencing has grown and with your help has the potential to be transformed fundamentally. I am asking those interested in helping to create this “terrible beauty” to join your Fencing Ireland Committee in Loreto Dalkey Sports Hall on Sunday, 03 March at 10:00 am. With the generous support of Sport Ireland, we have commissioned a new strategic plan for Fencing. The presentation of the plan will be made by Maeve Buckley. Maeve Buckley is the author of the report. Maeve was voted amongst the most influential women in sport in 2014, 15 and 17 and is a specialist in developing strategies for NGBs. In order to implement many of the strategies we will need, amongst other things, to train and work with an increased number of volunteers. We will also need to recruit a General Manager and a Sport Development Officer. Fencing Ireland is delighted to announce that its core funding of €27,000 per annum, has increased this year to €55,000. We have also been awarded a €25,000 special grant from the Government Dormant Accounts Fund for equipment and sports development. We have also received additional support from Sport Ireland to the tune of a further €8,000, covering the majority of the cost of the strategic plan and additional funding for hosting the fantastically successful Epée Satellite in the new and stunningly impressive, national sports arena in Blanchardstown. For a sport to obtain an increase of over 300% in its funding is virtually unheard of. 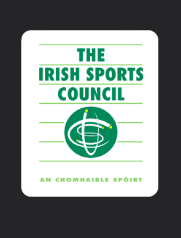 We are delighted to say that, in addition to this funding we hope to conclude an agreement with TCD for joint funding of a Sport Development Officer. These changes, handled correctly, with the right support from all of you, will transform Irish Fencing and put it on a platform of growth for many years to come. This coincides of course with the highest ever participation by our junior and cadet athletes at the European and World Championships. Heading off to Foggia in Italy later this week and then to Torun in Poland, are a wonderful team of young foilists, epeeists and sabreurs. As you know we have seen tremendous success from our youngest international fencers, in particular, a podium silver medal for the young Myles Moriarty-Smyth at a huge international competition in Paris. Finally, but by no means least, we have seen the continued growth with the Brian Boru club run by Radu in Howth, Clontarf and Blanchardstown, the green shoots of a new club run by David and Piri in Greystones and the ever expanding success of Olga in Dalkey and Ballsbridge. Adding to this has been the unbelievable success of Patrick Dight in rolling out fencing in a great number of schools across the country and the success of last year’s inter schools competition, held at Clongowes Wood College. We have also benefited enormously from very generous private sponsorship for our junior athletes on the island of Ireland. However, there is still an enormous amount of work to be done. The increased funding and the success of our athletes has created no more than a platform from which we must launch a much more ambitious plan for our sport seeking ever greater participation and even better international success. This cannot be done by a volunteer committee and for that reason we are very pleased that we now have the funding to allow us recruit a General Manager. However, in addition to this we need, as you will see from the strategic plan, to bring on board volunteers at every level to grow this wonderful sport. Reminder of Where and When . Please come and join us at 10:00am on Sunday, 03 March, in the Loreto Dalkey Sports Hall. This will be a chance to both understand the strategy we are seeking to implement, but more importantly to influence it and play a part in what may, in time, be seen as one of the greatest successes in Irish sport. We will convert a niche sport into a sport of significant numbers, and podium positions at international level. Posted November 8, 2018 by Aidan Clarke & filed under Front page. Notice is hereby given that an Extraordinary General Meeting of the company will be held at 7/8 Wilton Terrace, Dublin 2 at 18:00. To consider and ratify the nomination of Philip Lee to the position of chairman following the resignation of Dr. Laura Donaghy. Note: A member entitled to attend and vote at the meeting is entitled to appoint a proxy to attend and vote in his/her stead. No member present may hold more than two (2) proxies. Posted October 20, 2018 by Aidan Clarke & filed under Uncategorized. voting members (that is, those holding an Adult, Life or Student membership) on Friday, 2nd November, 2018. To enable us to include details of nominations for Chairman, we invite nominations for this position. Fencing Ireland invites fencers and supporters to take out their 2018/19 memberships. 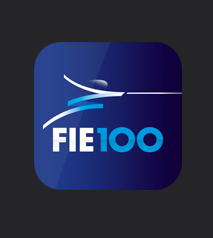 Take out an International Licence if competing in FIE or EFC events this season. Check out the Student & U23 Calendar for a full listing of 2018/19 events on the European U23 circuit. Entry portals will open at the beginning of August. 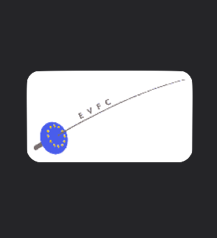 Please note, you must have an EFC licence to enter. An all-island team took part in the Student 4 Nations on July 14. Hosted by England Fencing this year, the 2018 event took place in Leeds and featured an individual event for the first time. Words and images: Munster Blades FC. Fencing Ireland was well represented and came away with a couple of medals this year at the 2018 US Nationals & July Challenge in St. Louis, Missouri. Genevieve Clarke, Jake McGillion-Moore and Katie McGillion-Moore competed for Foil in a range of age categories, while Michael Geraghty and Sophia McGee flew the flag in Epee. Words and images by Fergal Moore. Fencers on the 2018/19 international panels are reminded that the deadline for submission of pre-season competition plans is midnight tonight (Saturday 30 June). Fencers may check their qualification status by viewing the Panel 2018/19 page. Panel fencers may use the following forms to enter Satellites, World Cups and Grand Prix. Check what events are available – and who’s already entered – at the International Calendar. Please note that an FIE licence is required to enter these events. Fencers new to the international circuit will be asked to present a valid Irish passport so that their licence can be registered. U20 panel fencers may enter Junior World Cups using the forms linked on the Junior Selection page. Check what events are available – and who’s already entered – at the Junior Calendar. Please note that an FIE licence is required to enter these events. 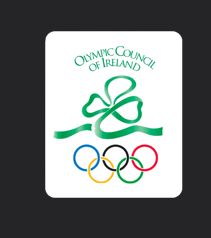 Fencers new to the circuit will be asked to present a valid Irish passport so that their licence can be registered. 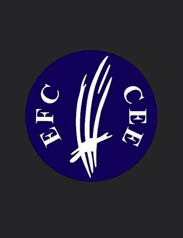 U17 panel fencers may enter EFC Cadet Circuit events using the forms linked on the Cadet Selection page. Check what events are available – and who’s already entered – at the Cadet Calendar. Please note that an EFC licence is required to enter these events. Fencers new to the cadet circuit will be asked to present a valid Irish passport so that their licence can be registered. Two Tipperary schools have become the latest participants of the Interschool Fencing Programme. From the 2018/19 school year, St Mary’s Secondary School in Nenagh and Cistercian College in Roscrea will add fencing to their Transition Year timetables, bringing the roster of IFP schools to eight. 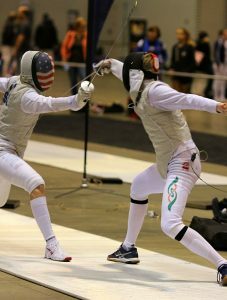 Find out more about the Interschool Programme and discover whether fencing is right for your school.